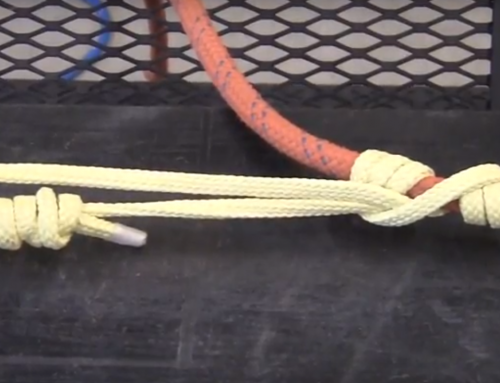 two tensioned mainlines without a separate belay line – often referred to as ‘Two-Tensioned Rope Lowers’. 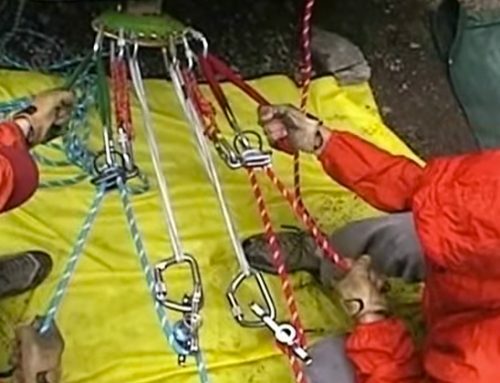 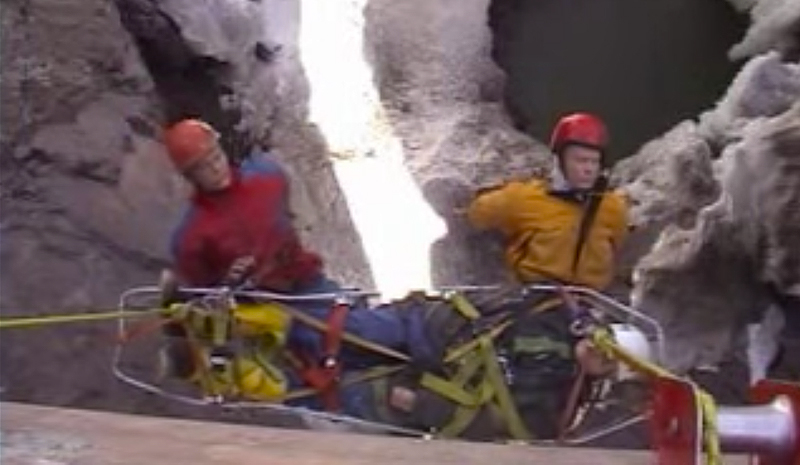 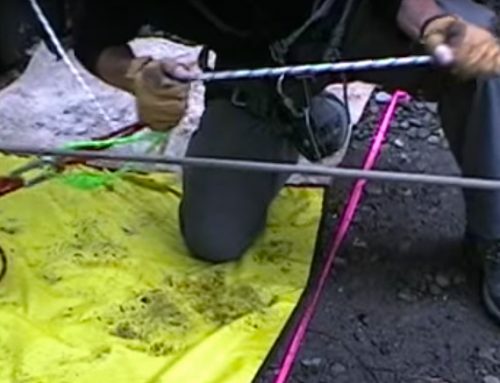 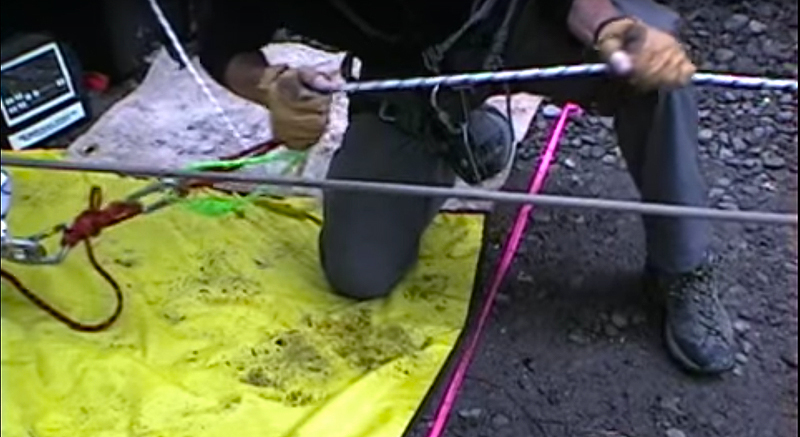 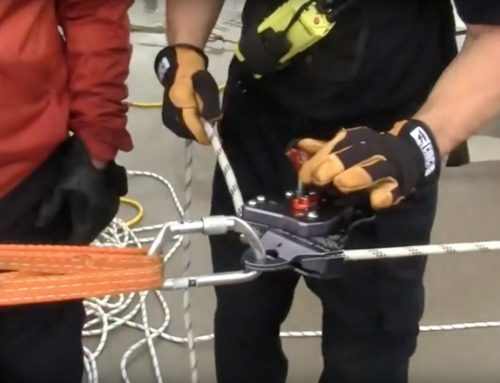 Two-Tensioned Rope Lower configurations generally include two separate lines attached to the rescue package (patient, attendant(s), and stretcher), each supporting approximately half of the total mass. 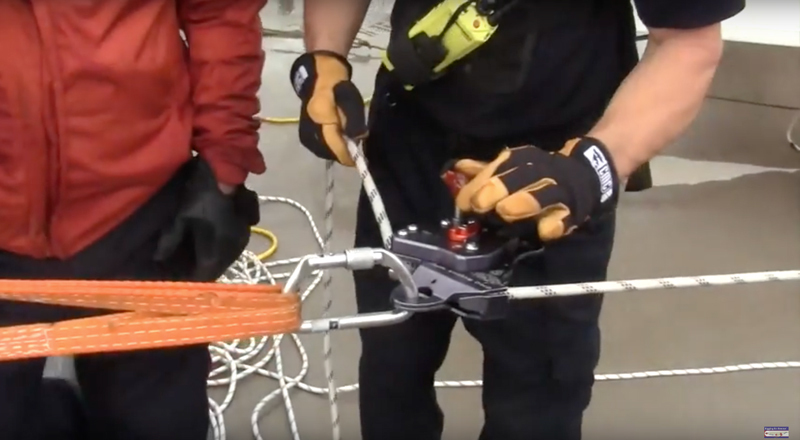 These configurations are rigged with a variety of stretcher bridle attachments, friction devices to manage the descent, attendant and patient tie-in methods, as well as rope types. 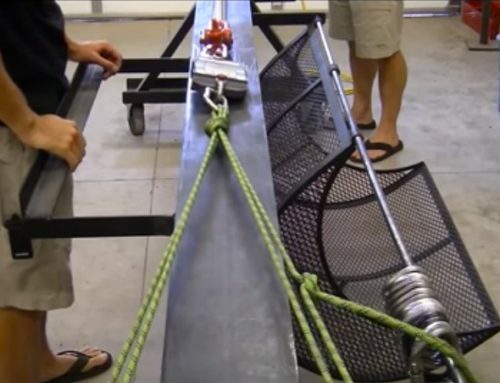 In 2003, we conducted a series of drop tests that focused on certain stretcher bridle attachment methods in a selection of Two-Tensioned Rope Lower configurations. 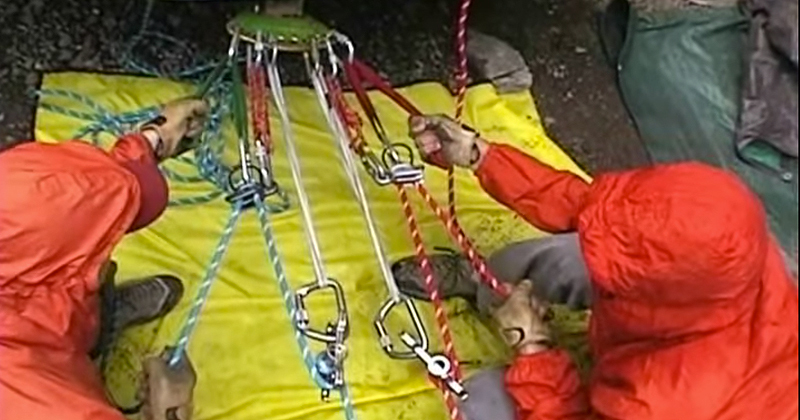 The 2003 drop test series looked exclusively at stretcher bridle configurations that included two separate bridles and respective mainline attachments. 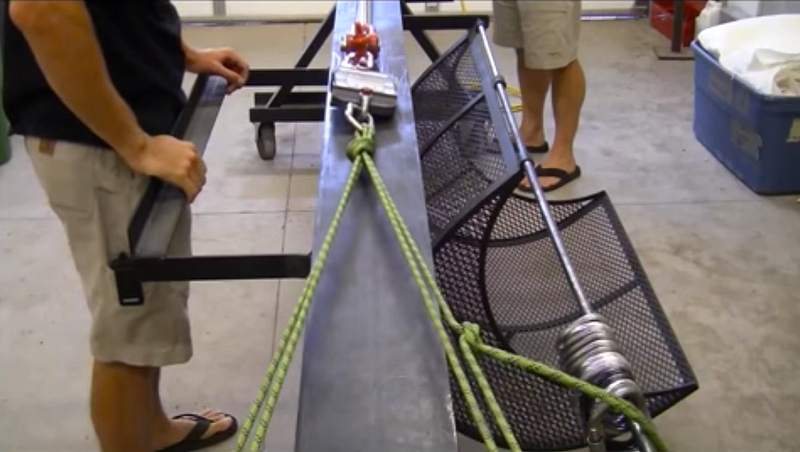 The findings of that drop test series were presented at the ITRS 2003 in Salt Lake City.